Yooralla’s Learning Hub recently hosted a Spring Luncheon for 30 guests at Murrumbeena Uniting Church and Community Garden. 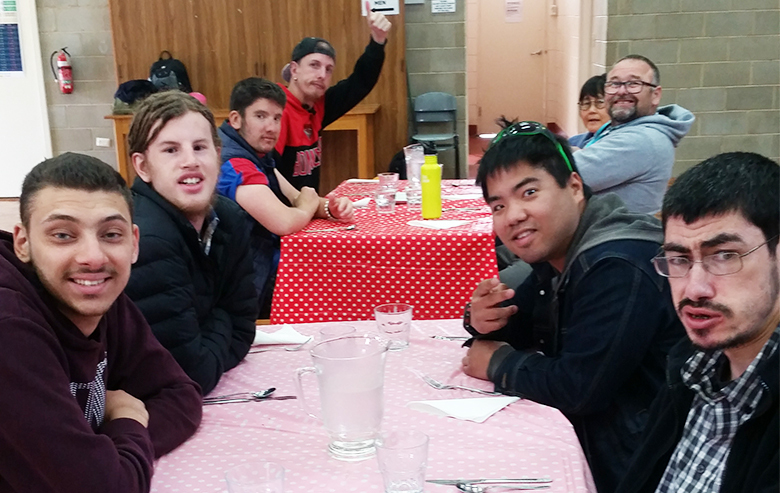 The Food Handling program participants from Yooralla’s Learning Hub recently hosted a Spring Luncheon for 30 guests at Murrumbeena Uniting Church and Community Garden. The three-course lunch – jointly prepared by participants from the Hub’s three cooking groups – featured antipasto, chicken pasta and peach crumble. Rita Trotta, the Hub’s Customer Service Manager, said it was a great opportunity for the participants to put what they had learned in the cooking program into practice. “The program is delivered hands-on, which seeks to equip the participants to discover the joy of creating and cooking basic, fun recipes that can be used at home to manage their personal nutritional needs. As part of the program, the participants also learn how to set the table and serve, so that they can host dinner parties at home for their friends and families,” she said. Rita said there is also a strong emphasis in the program on hygiene and principles of safe food preparation, storage, occupational health and safety issues in the kitchen and knife handling. “Another major component to the practical lessons are guidelines about freshness, quality and health choices and buying and using fresh produce whenever possible to maximise nutritional value,” said Rita. Yooralla’s Learning Hub is one of 16 Community Hubs Yooralla across Melbourne and Victoria, where adults with disability can access innovative and stimulating programs and activities designed to enhance life skills and promote choice, inclusion, independence and wellbeing. 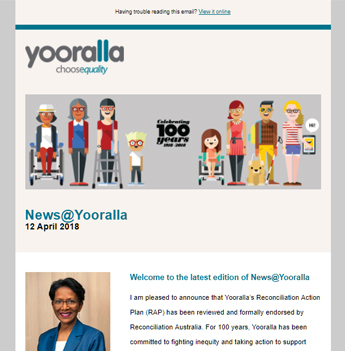 You can learn more about Yooralla’s Community Hubs here.